Today we enthusiastically announce the destination for TBEX North America 2015, along with a new, companion TBEX event. TBEX North America 2015 will be held in Ft. Lauderdale, Florida, on October 28-30th, 2015. 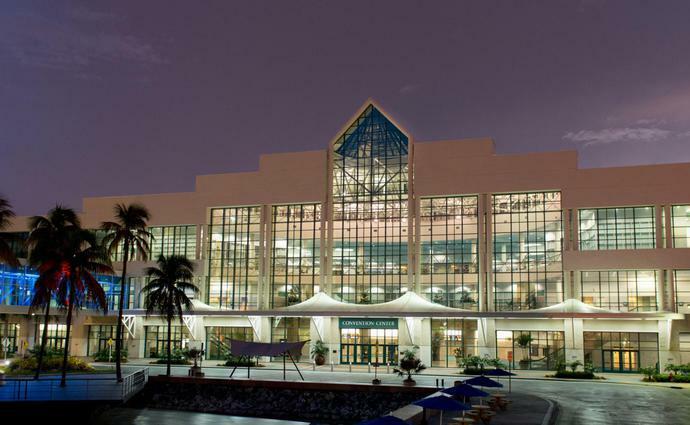 The venue will be the Greater Ft. Lauderdale/Broward County Convention Center, located at 1950 Eisenhower Boulevard, Ft. Lauderdale. Embraced by the Atlantic Ocean, New River and a myriad of scenic inland waterways, Fort Lauderdale truly lives up to its designation as the “Venice of America.” Blessed with over 3,000 hours of sunshine each year and pleasant year-round ocean breezes, world-famous Fort Lauderdale Beach offers premier opportunities for recreation, relaxation and enjoyment. The picturesque Riverwalk serves as the cornerstone of the City’s arts, science, cultural and historic district which features the Broward Center for the Performing Arts, Museum of Discovery and Science, Museum of Art and Old Fort Lauderdale Village and Museum. Las Olas Boulevard has gained international acclaim as Fort Lauderdale’s centerpiece of fashion, fine dining and entertainment. Registration for TBEX North America 2015 in Ft. Lauderdale is now open, with super early bird rates of $127 for bloggers and $397 for industry representatives. The call for speakers will open next week. Immediately following TBEX North America 2015 will be a new event, TBEX at Sea, October 31-November 7, 2015. Our venue for this niche event will be onboard Royal Caribbean’s beautiful Oasis of the Sea. Oasis of the Sea is one Royal Caribbean’s most innovative and imaginative ships, featuring the first-ever neighborhood concept where everyone can find their unique experiences in one of seven distinct onboard districts, including: Central Park – a public space combining nature and nautical; Boardwalk – dedicated to family, fun and featuring the new and entertaining AquaTheater; and the Royal Promenade – the heart of many Royal Caribbean ships, that’s now bigger and better than ever. The Oasis of the Sea will depart Ft. Lauderdale on October 31st at 4:30 pm, with ports of call at Nassau, Bahamas, St. Thomas, USVI, and St. Maarten, returning to Ft. Lauderdale in the morning of November 7th. This event is ideally suited for bloggers in the following niches: cruising, family travel, luxury travel, couples travel, adventure, and baby boomer travel. Sessions will be designed as advanced, indepth workshops suitable for experienced bloggers, and will be held on days when the ship is at sea. There will be special TBEX events onboard as well as free time to enjoy all the amenities the ship offers, or just to kick back and relax. Port time will be available for shore activities and excursions at your option. Registration for TBEX at Sea 2015, to be held on the Oasis of the Sea, will open on February 23rd. If you are attending TBEX North America 2015, there will be no additional registration fee, you need only to book your cabin at the low TBEX rate. Friends and family are invited to book cabins at the same low rate, making this a great getaway option as well. Speaker selection will be by invitation only; there will not be a submission process. Dang. Bring back the summer TBEX!! Bought my Ft. Lauderdale TBEX ticket. TBEX at Sea sounds like a match for this active adventure baby boomer. I’m also probably one of the few people who has never visited Ft. Lauderdale, Florida. I look forward to seeing old friends and meeting new ones. So excited to hear that TBEX North America will be held in my hometown of Fort Lauderdale. It’s a great venue, especially the Oasis of the Seas which we have been on twice now. If anyone needs any information or help, please feel free to contact me. Love this idea! And love Royal Caribbean too. What’s the word on bringing husbands and children along? You can bring family and friends on the cruise at the same low TBEX rate. We’ll have more info on how that works when we get our booking page up next week. We’re glad to be able to offer a way to include all the important people in your life who help share your passion for travel and blogging. TBEX at Sea looks amazing! Hoping to connect with others. Thank you! LOVE the @ seat extension AND that TBEX has included something whee family travel bloggers can actually participate with their families. Too bad it’s just weeks into the school year and the kids would be out for a full week. Wow!! LOVE this idea of taking the event onto a ship!! So excited for this!!!! Sounds like fun. My only TBEX experience was in Vancouver. Could be time to attend again. Almost have my husband talked into attending. Fingers crossed! And, love the idea of the Oasis its almost a destination in itself! Will you offer Single Occupancy rates for TBEX at Sea? If so, could you please post them? The full details about the cruise will be available next week on a special booking site. It will have information about the rate, upgrades, single supplement, grautities, deposits and payment plans. We’re working with Royal Caribbean to get this set up as soon as possible. Hope you can make it! Way to go TBEX team! What a super year you have planned – big props to you all!!!!! well, I’ll definitely attend the TBEX at Land….. Not sure I can get enough time away from work to swing a whole week for the cruise part though…. When does the Early Bird Discount end? The price for registration goes up April 3rd.